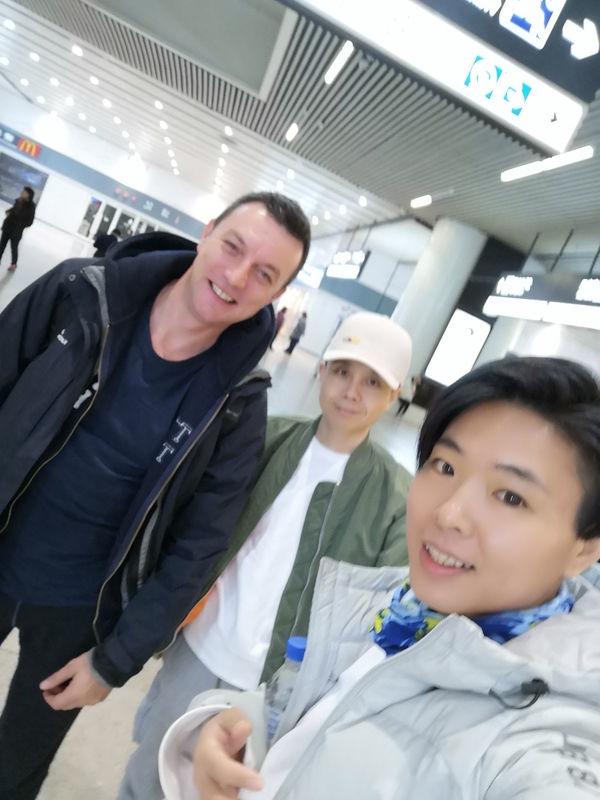 On the 24th January, just 3 days after arriving back from Perth, Australia, I got the call from Master Chen to hurry on up to Beijing and meet Massimo Giorgianni, our representative in France for the Practical Method, at Beijing airport where he was arriving the next day for his first visit to China and my first Fulltime guest for 2019! 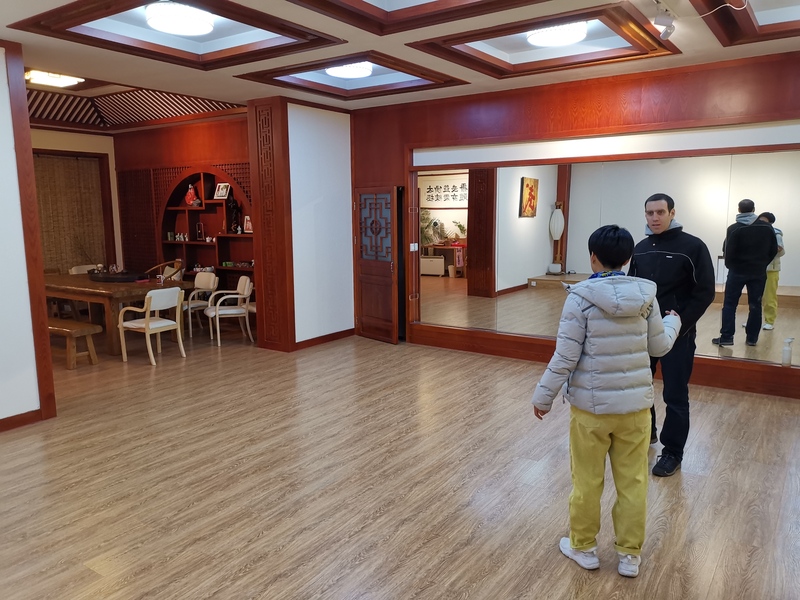 With high speed train ticket there and flight back booked (the same one as Massimo was booked onto), I taxied to the brand new and gleaming High Speed Railway station in Rizhao just 20mins away from my apartment. Looking more like an airport, with security check in and announcements over the PA system (in English so no probs keeping abreast of what’s going on), I was efficiently directed to my train compartment. 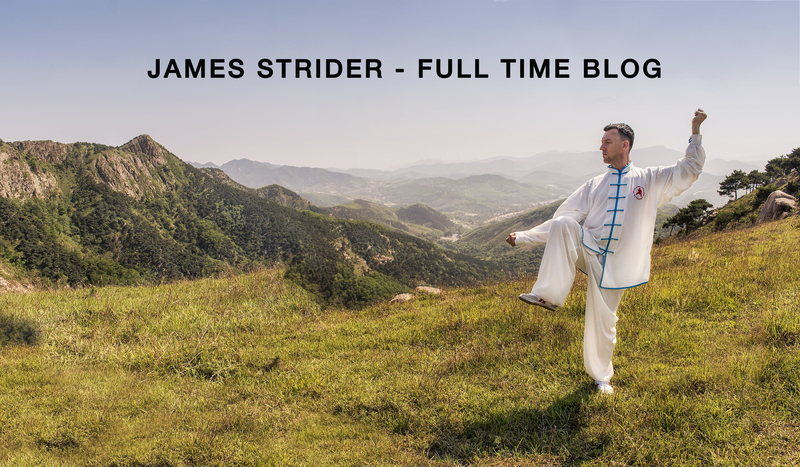 For the next 5 hours I sat, watched some PM clips and movies, did my first live vlog (see HERE for my Facebook video and the < button to return top this blog) of the experience and generally counted my blessings as to how I had managed to land my dream job! Upon arrival at Beijing Central Station around 9pm I was met by the lovely Sifu Zizhen (Jayne) and her husband Yuan, who promptly drove me 20 minutes to their very impressive 4 story house in the centre of Beijing’s old quarter, right next to the Tonghui River which runs East-West across Beijing, leading directly to Tiananmen Square and the Forbidden City. 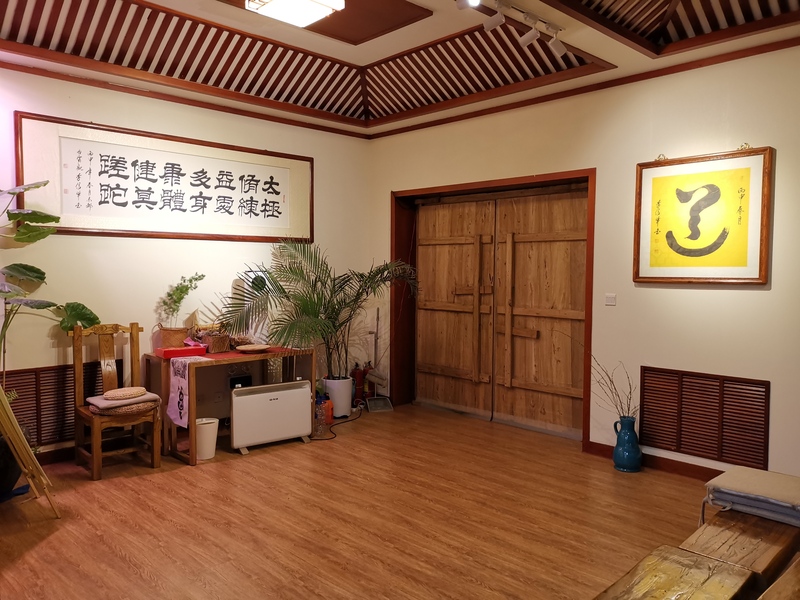 To say that their set up is impressive would be to do it an injustice: on the ground floor is the stylish Zizhen Taijiquan Academy, a Wu Kuan (“Martial Club”) where Sifu Zizhen teaches her classes, the next floor being another large workshop room and short stay quarters with bathroom, followed by Sifu Zizhen and Yuan’s own living quarters and communal dining area on the 3rd floor, finished off by a large roof terrace on the 4th floor. Until around midnight we drank tea (Yuan’s speciality) and spoke about life, the universe and everything Taiji. 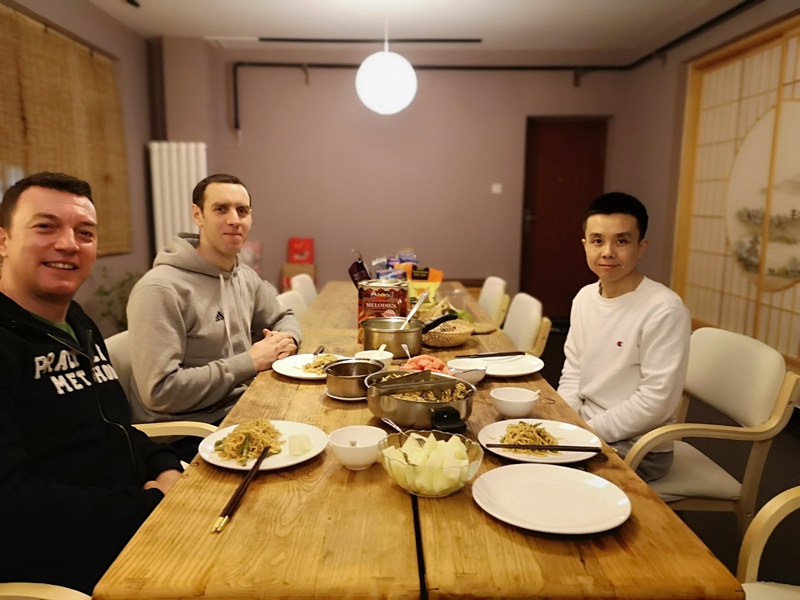 It was wonderful to meet two 30 year old’s who in Chinese terms you would call New Age, being as they are vegetarian (all of the delicious food cooked and served by Yuan is vegan), very eco/animal rights conscious, and spiritually alternative in many ways. I spent the night on the 1st floor in their cosy 2 person room after a lovely hot shower, with another vlog showing you around HERE. The next morning, after an hours training with Jayne downstairs (sorry, forgot to take pics as we were engrossed in PM terminology and theory), we were prepared the most delicious vegan breakfast by Yuan and set out for a short trip to Tiananmen Square and the Forbidden City as I had never seen either. Being February it was still pretty cold, so we wrapped up and did the tourist Taiji shots and a whole lap of the forbidden city by foot. 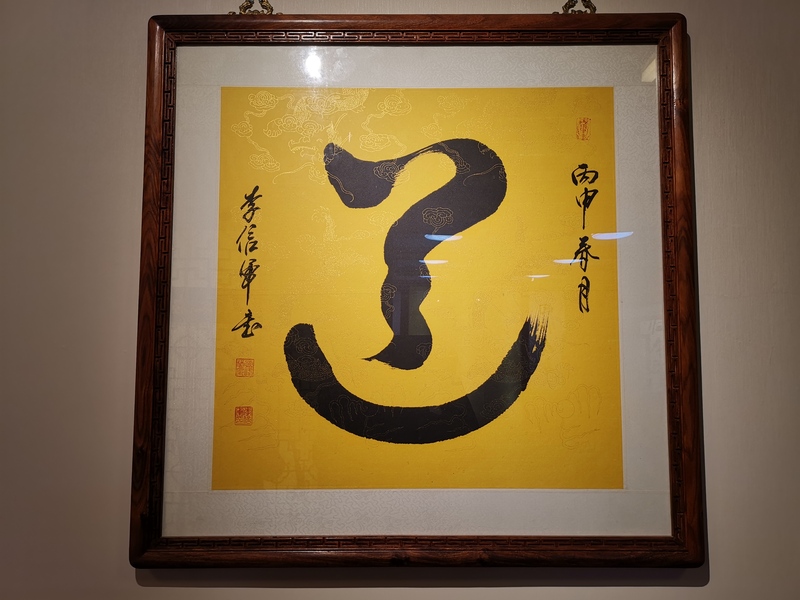 After lunch at a famous eatery (The National Protectorate Snack Bar), we headed home for a short nap before driving 30 minutes to Beijing Capitol International Airport to pick up Massimo! He arrived on time and we hurried home, with another yummy dinner waiting followed by copious cups of tea before jet lag kicked in for Massimo and we hit the sack. 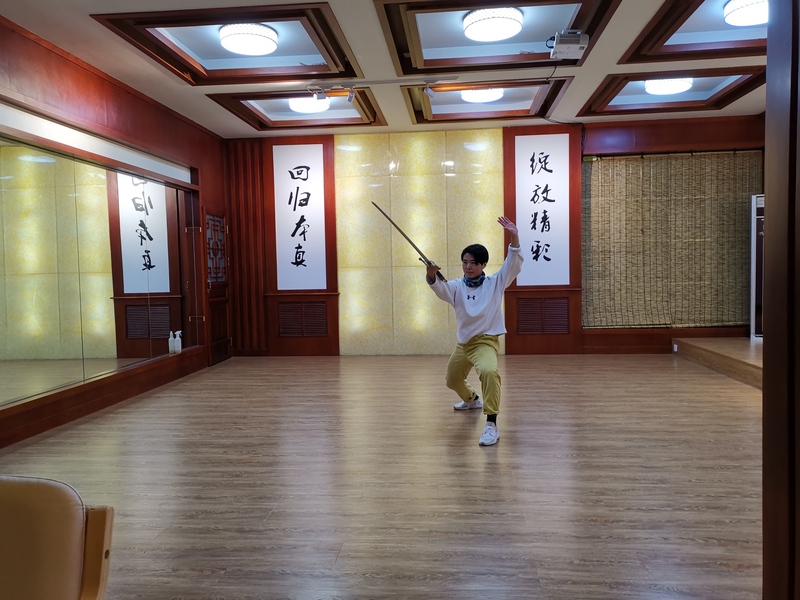 In the morning we were treated to an excellent demonstration by Sifu Zizhen of the Yang Taijiquan sabre, being as she hails from Yang Luchan’s hometown and has been practicing from the age of 9, having only recently come over to the Chen Style Taijiquan Practical Method. 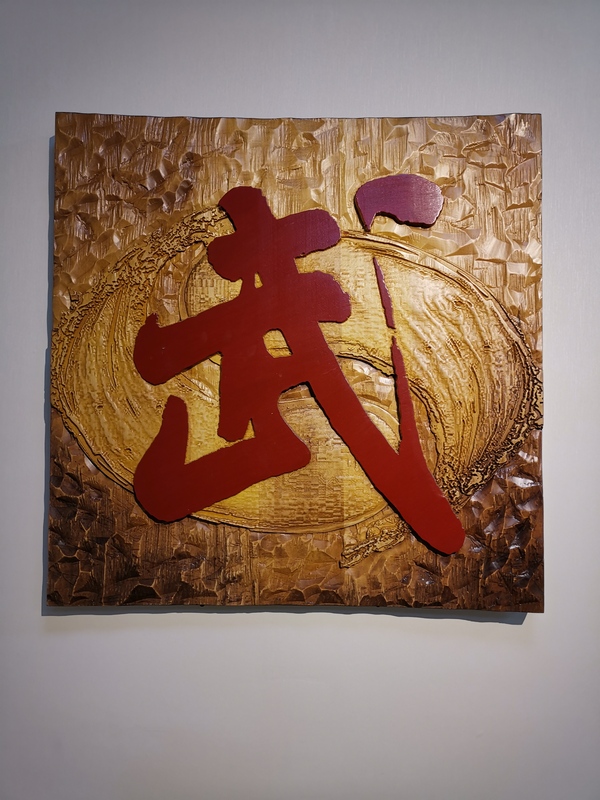 The previous night Massimo and I ascertained that Sifu Zizhen was a bit of a Taiji celebrity (not that you’d ever tell as she is very humble), with it coming to a head when she casually showed us a video of her teaching TV celebrity Dr. Oz on his trip to China! Bright and early the next morning, after another scrumptious breakfast, we were ready to drive to Shenzhen Airport, just 30 minutes from our stay, to board a China United Airlines flight to Rizhao. Boarding was super easy (carry on luggage must be checked in), with minimal fuss and the amenities simple for this 3 hour flight, with the only downer being the 2 hours spent onboard waiting for take off to begin (not uncommon from my research!). All in all the trip by train costs approximately ¥380 each way (Economy) and the same to fly, so the choice is yours by preference rather than pocket. Both the airport and train station are 20 minutes from Rizhao, so not much to choose from there, but if you’d like to hear my opinion I’d go by train anytime as it takes roughly the same amount of time after check in and delays at the airport, with the bonus being that you can walk around and look at the scenery whilst at it. 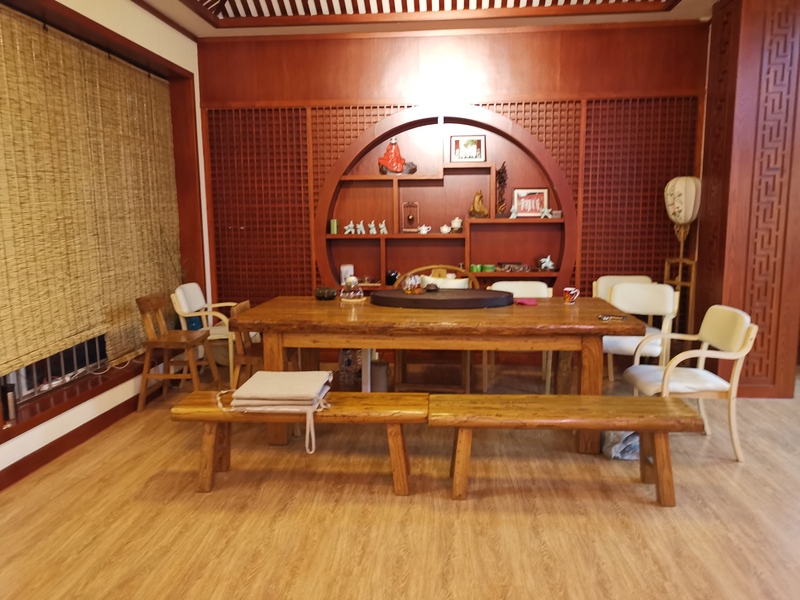 A nights stay at the Zizhen Taiji Academy costs ¥200 and I highly recommended it either as a transit stop-over to or from Rizhao/Qingdao, or simply to spend a few nights in a great spot for getting around Beijing for a sight seeing tour, along with great cuisine and company. 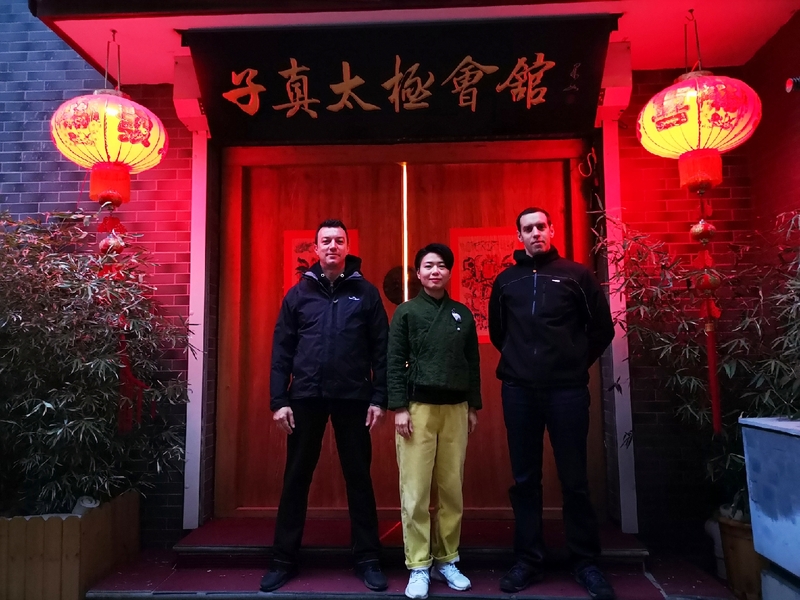 I’d like to take this opportunity to thank Sifu Zizhen and her wonderful husband Yuan for their heartwarming hospitality, they made me feel immediately welcome and spoilt. Please contact me for their details as stays are by invitation only and just so you know, they have two cats, which is a bonus for me but perhaps not for others with allergies! And of course Master Chen, without whom this trip wouldn’t have been possible.